Cox Business, in partnership with PitchBR and Baton Rouge Entrepreneurship Week, cordially invite you to be part of #GetStartedLouisiana – our annual live forum and pitch competition bringing together some of the best and brightest minds in our state. The event will feature our state’s hottest and most innovative business ideas, and you can be a part of it all! Pitch your business or attend the event as a guest – below you will find information on ways to get involved. Companies that have already participated in PitchBR are eligible to apply. Valet parking is complimentary for our guests! Start-ups, entrepreneurs, and small business owners in Louisiana are invited to apply to Get Started Louisiana for a chance to showcase their savvy business ideas while collecting valuable feedback from a panel of five judges. Five finalists will be chosen to pitch, with the winning business earning a prize valued at $10,000! Pitch submissions are now closed and finalists will be announced shortly. Don’t miss this opportunity to network, learn, and celebrate! Watch the pitches and the live Q&A session with the expert panel that follows. Monte Danos is Field Marketing Director for Cox Business in the Southeast Region. In this role, Monte oversees day-to-day marketing operations and product management for business telecom services in the Louisiana and Florida/Georgia market areas. He partners closely with the respective markets’ sales, service delivery, field service, and engineering teams in driving the overall objectives of the organization. Most recently, Monte served as Sr. Product Marketing Manager for Cox Business Louisiana, where he managed the commercial voice, data, transport, and video product lines in New Orleans, Baton Rouge, and Lafayette. Before joining Cox Business in November 2010, Monte held various product roles on the Cox residential marketing team, including Manager of Video Products for all Louisiana markets, as well as Director of Product Management for the Baton Rouge and Lafayette systems prior to statewide consolidation. Monte has more than 20 years of experience in the telecommunications industry. A graduate of Louisiana State University, Monte holds a BA in Mass Communications. His early career as a television news reporter included assignments with the FOX, NBC, and CBS broadcast affiliates in Baton Rouge. Dennis Lauscha, who was named team president of the Saints in 2012, oversees the club’s financial operations, government affairs, marketing, ticket and suite sales, legal, stadium, community affairs, human resources, information technology and facilities departments. He has also served as president of the New Orleans Pelicans since 2012. He is a representative for both clubs at NFL and NBA Owner’s Meetings. 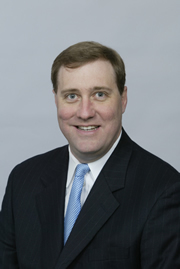 Dennis first joined the club as treasurer in 1998 and later earned the additional titles of vice president, senior vice president and executive vice president. In addition to his duties with the Saints and Pelicans, the New Orleans native maintains multiple roles within other holdings of Gayle Benson, maintaining a role in the management of her automotive dealerships, Zelia, LLC, Dixie Beer and GMB Racing. In 2009, Dennis helped negotiate the partnership with the Louisiana Governor that continues the Saints’ commitment to the state through 2025. The deal included the purchase and redevelopment of the former New Orleans Centre, which has been transformed into Champions Square and the Benson Tower property adjacent to the Mercedes-Benz Superdome, with the stadium itself undergoing extensive renovations and improvements. Since playing a key role in Tom and Gayle Benson’s purchase of the Pelicans in 2012, Dennis has helped broker agreements with the state to upgrade the team’s playing and practice facilities. Following successful negotiations, the Pelicans are committed to the state through 2024 and the Smoothie King Center has undergone over $50 million in renovations and improvements. Active throughout both sports and the community, Dennis currently serves as a member of the NBA’s Team Advisory Council of Presidents and Team CBA Advisory Committee, the NFL’s Ticketing Strategy Working Group, the Stuart Hall School Board of Trustees and on the New Orleans Museum of Art Board. Dennis has completed terms as board president of the Preservation Resource Center, president of the regional chapter of the Boy Scouts of America and as a member of New Orleans Mayor Mitch Landrieu’s Blight Transition New Orleans Task Force, the Super Bowl XLVII Host Committee, the NBA All-Star Game Host Committee, the NCAA Final Four Host Committee and the Loyola University New Orleans School of Business Visiting Committee. John W. Matthews, Jr., a native of New Orleans, graduated from St. Augustine High School and matriculated at Southern University in Baton Rouge; where he graduated with a Bachelor of Science Degree and went on to obtain his Master of Business Administration Degree from Loyola University in New Orleans. 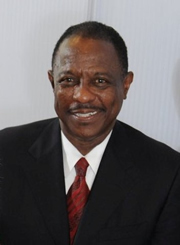 After graduating from Southern University, John was employed by Texaco, Inc. in a number of challenging positions including, but not limited to, Plant Chemist, Supervisor of Contracts Administration, Manager of Natural Gas Sales and Purchases, and Assistant to the President of Texaco’s Natural Gas Marketing Group. After completing 20 successful years, John retired from Texaco and subsequently accepted an appointment and commission by the Governor of Louisiana to the Governor’s Office of Urban Affairs and Development in August of 1993. His duties included coordinating, directing and monitoring programs targeted for disadvantaged and urban residents of Louisiana and coordinating legislative initiatives and economic development programs. In February of 1997, John joined the Department of Economic Development as Manager of the Small Business Bonding Assistance Program. He was responsible for directing and managing all aspects of the Bonding Assistance Program on a daily basis. John developed and established the many components of the model currently being utilized by the Department of Economic Development to help contractors acquire the necessary levels of surety bonds at reasonable rates. John was promoted to Deputy Assistant Secretary of the Division of Small and Emerging Business Development in September of 1997. His responsibilities included developing, implementing and operating specific programs designed to help small businesses compete and grow in this economy. As of September of 2003, John is currently Senior Director of Small Business Services which, among other objectives, provides sources of management, technical and financial assistance programs for small businesses throughout the state of Louisiana. John serves on the boards of several professional groups in Louisiana and surrounding states in an effort to foster a proactive economic development climate for the many businesses in these communities. 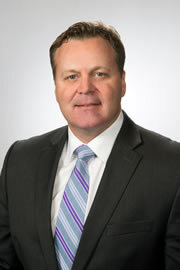 Leigh King has served as Vice President of Cox Business Louisiana since 2004. Under his leadership, Cox Business Louisiana has seen significant growth, with more than 35,000 business customer relationships in Louisiana. Leigh has more than 24 years of telecommunications experience, spanning a variety of leadership roles. Before joining Cox, he served as VP & General Manager for Adelphia Business Solutions where he was responsible for all of Adelphia’s assets in Louisiana and Mississippi. Prior to Adelphia, Leigh served as Regional Director of Sales and Acquisitions for Urban Media where he oversaw the launch of markets in Houston, Dallas, Denver and Phoenix. 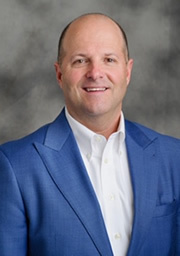 Prior to Urban Media, Leigh served in several regional director roles with Teligent, where he led sales and operations functions in Houston, Dallas, San Antonio and Austin, Texas; Nashville, Tenn.; and Baton Rouge and New Orleans, La. Leigh began his career in the wireless telecommunications industry in Houston, Texas with GTE MobilNet (now Verizon). Leigh is a graduate of Louisiana State University and holds a Bachelor of Science Degree in Industrial Technology. He currently serves on the Board of Directors for Greater New Orleans, Inc., YMCA Capital Region and LSU’s Tiger Athletic Foundation. Leigh previously served on boards for the Louisiana Business and Technology Center at LSU, A.C. Lewis YMCA, Louisiana Red Cross, Capital Region Better Business Bureau and the Louisiana Technology Council. 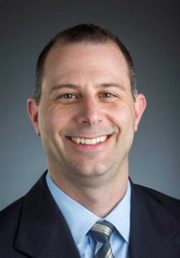 Michael P. Kirby, is currently an adjunct faculty member at the LSU Ourso College of Business, as well as an active private equity and venture capital investor with more than 25 years of venture capital and private equity investing experience. Several recent companies where Michael is an investor include Drew Foam Companies, Filltech, USA and Waitr. Prior to his retirement in 2012, Michael was a managing director and one of five co-founders of Stonehenge Capital Company, LLC, which managed more than $500 million of venture capital/private equity at the time of his departure. Prior to Stonehenge, Michael was a managing director of Banc One Capital Markets. Additionally, he was also one of three founding partners and the vice president of First Commerce Capital, Inc., a venture capital fund based in New Orleans, La. Past industry and portfolio company board memberships include Golfballs.com, Nova Technology Corp., PJ’s Coffee & Tea, Appro Systems, Inc., Gulf Coast Analytical Laboratories, Inc., Rocky Mountain Portable Storage (PODS), Rx Advantage, Louisiana Business & Technology Center-LSU, National Association Small Business Investment Companies, Inc., and Southern Regional Association of SBIC’s. You can enter the Contest by visiting the official registration page at http://www.coxblue.com/getstartedlouisiana (the “Website”) and completing all of the required information and following all posted instructions. Contest is open only to legal residents of United States who: (1) are at least 18 years of age; (2) are the owner, principal, or general manager of a business, with revenues less than $300,000, that is physically located within the United States. Entry Period begins 09/20/2018. BY ENTERING THE CONTEST, YOU ACKNOWLEDGE AND AGREE THAT (1) YOUR MATERIALS ARE NOT CONFIDENTIAL AND NO CONFIDENTIAL OR FIDUCIARY RELATIONSHIP IS INTENDED OR CREATED BY ENTERING THE CONTEST; AND (2) THE CONTEST ENTITIES MAY POSSESS OR COME TO POSSESS INFORMATION THAT IS SIMILAR OR IDENTICAL TO YOUR MATERIALS, AND YOU HEREBY AGREE THAT THE CONTEST ENTITIES MAY USE SUCH SIMILAR OR IDENTICAL INFORMATION WITHOUT LIMITATION, COMPENSATION, OR CREDIT TO YOU. Void where prohibited. Sweepstakes subject to Complete Official Rules. To obtain a copy of the winners list or a copy of these Official Rules, send your request along with a stamped, self-addressed envelope to “Cox Business Get Started Louisiana: Network. Learn. Pitch Contest” Winners/Rules, Shana Keith, Cox Communications, Inc., 6205-B Peachtree Dunwoody Rd, Atlanta, GA 30328. Sponsor: Cox Communications, Inc., d/b/a Cox Business, 6205-B Peachtree Dunwoody Rd, Atlanta, GA 30328.